As a Director-At-Large of the San Bernardino County Bar Association, President Jack Osborn asked me to serve on the San Bernardino County Bar Association Bulletin Committee. As such, I will be writing a monthly column which will mostly be focusing on bench and bar history of San Bernardino County. Below is a heavily edited version of my first article, which I have submitted for publication in the March or April bulletin. 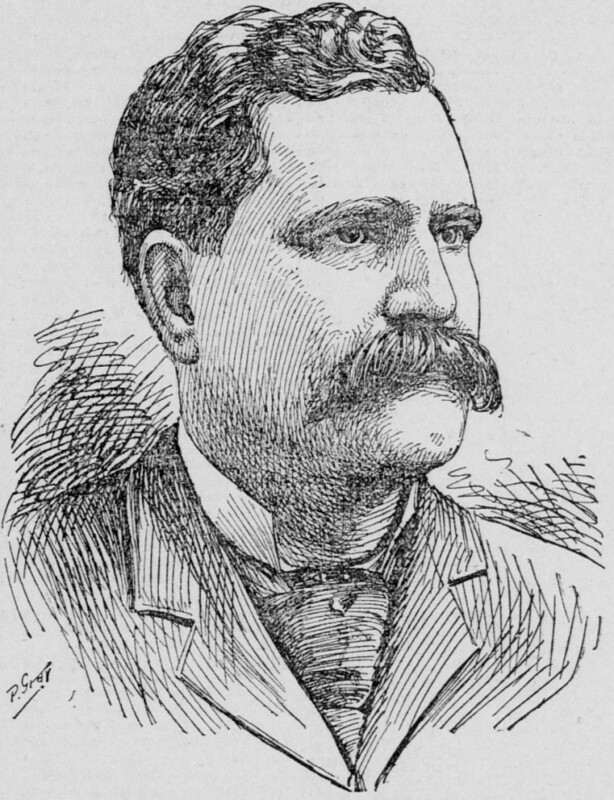 Byron Waters was an organizer and the first President of the San Bernardino County Bar Association, organized in 1875. In The Bench and Bar of the County of San Bernardino, State of California (1955), Page 15, former California Associate Supreme Court Justice and native of San Bernardino, Jesse William Curtis gave this synopsis of Mr. Waters’ life. Hon. Byron Waters also came to San Bernardino before reaching his majority. He came from his native state of Georgia. He first worked for his uncle James Waters, who ran dairy in Yucaipa. But a dairy was no place for young man with Mr. Waters’ ambition and talents. He read law in the offices of Judge Rolfe and Judge Willis and was admitted to practice in 1871. He almost immediately gained place in the front ranks among the members of the bar of the county. His practice in an incredibly short time became both large and lucrative. In 1877[,] he was elected to the assembly and although one of the youngest members he was acknowledged as one of the leaders of the legislative body. By reason of the reputation gained at that one session of the legislature in the following year he was elected a delegate at large to the State Constitutional Convention which framed our present Constitution. In 1881[,] Mr. Waters temporarily retired from the practice of law and helped organize the Farmers Exchange Bank of San Bernardino and became its first president. But his love for the law drew him back to its practice and he soon retired from the banking business to enter again the ranks of the attorneys of this county. He at once took his place as one of the leaders of the Bar. He attracted the attention of Judge S.H. Mesick of San Francisco, a leading mining lawyer of the state, who offered him partnership if he would move to San Francisco. Mr. Waters accepted the offer and the firm of Mesick and Waters was formed and during the few years of its existence was retained in many of the most important mining cases before the courts of the state. Due to the failing health of Judge Mesick the partnership was dissolved and Mr. Waters practiced alone in San Francisco. After successful though rather brief practice in the then metropolis of the state, he returned to San Bernardino and again opened his office and continued his practice for a few years when he was offered membership in the legal staff of the Southern Pacific Company, which he accepted and again became resident of the bay district in the north. Evidently the character of the work for the railroad did not suit the taste of Mr. Waters for after few years with the company he resigned his position and again resumed his practice in his old home town. On each occasion of his return to this county his old, and many new, clients sought him out and his law practice soon assumed its old time proportion as one of the most profitable in the county. In his declining years he was so unfortunate as to lose his eyesight completely. Notwithstanding this affliction he continued with the assistance of two younger members of the bar to carry on an extensive and profitable law practice until the infirmities of age compelled him to retire from all activities. He passed away on November 29 1934 in the city in which he had made his home, with brief exceptions above referred to for so many years. Associate Justice Curtis’ summary of Waters’ life is a good synopsis of Byron Waters life, but additional details expose the true breadth of his career. Copyright 2015 Michael Reiter, Attorney at Law . Can You Go to Jail for Not Getting a Building Permit?